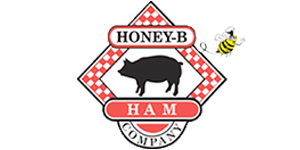 Honey B Ham and Deli is the premier ham and turkey food service supply company. All of our products are hand chosen and of the finest quality. Who could resist a gift of a Honey Glazed Spiral-Sliced Ham or Smoked Turkey for the holidays? Our hams, turkeys and party trays make perfect gifts for special clients or employees. Click here to see more options! Having a holiday party? Let us prepare one of our delicious party trays! Don't miss out on our famous and delicious crackling. Stop by and grab some of the best crackling in town! Call today to order in bulk! Ordering a ham or turkey online is fast and easy. Fill out our form, and your order will be placed immediately! People have trusted our family-owned business to make their holidays special for over 20 years. Call today to find out more about our deli or to order your ham or turkey! Our Secret Recipes For You to Enjoy! Welcome to Honey B Ham and Deli! Located in Lake Charles, LA, we’re known for our top-of-the-line hams and turkeys, as well as our superior customer service. Our goal is make sure the process of getting our ham or turkey to your table is simple and stress-free. Our Honey Glazed Hams are hickory smoked, spiral-sliced and baked with a thick and rich honey and spice glaze. Ready for the table, our hams and turkeys make any occasion truly special. We choose only the finest meats, then carefully trim and slowly dry cure each one. Every ham is spiral-sliced around the bone to give you ready-to-serve, uniform slices. If you’re looking for a crowd-pleasing ham or turkey as the main dish of your next dinner party, holiday event or family gathering, you’ve come to the right place. Call Honey B Ham and Deli at 337-478-3354 today!